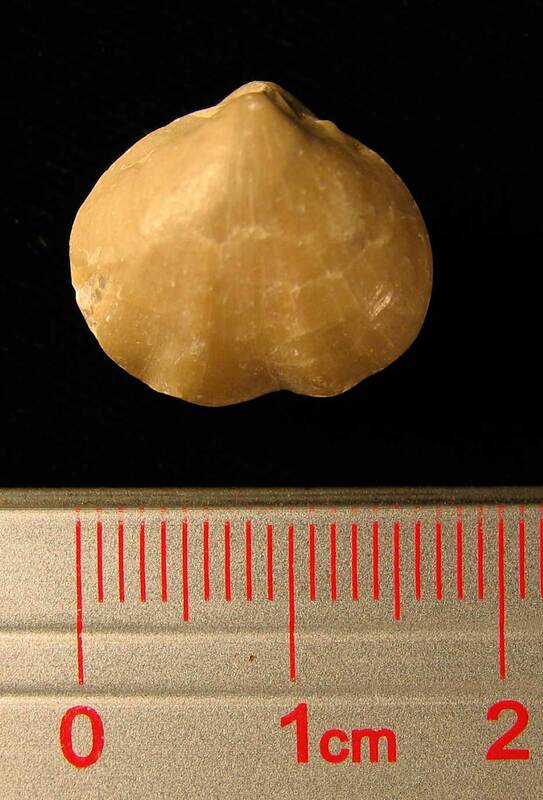 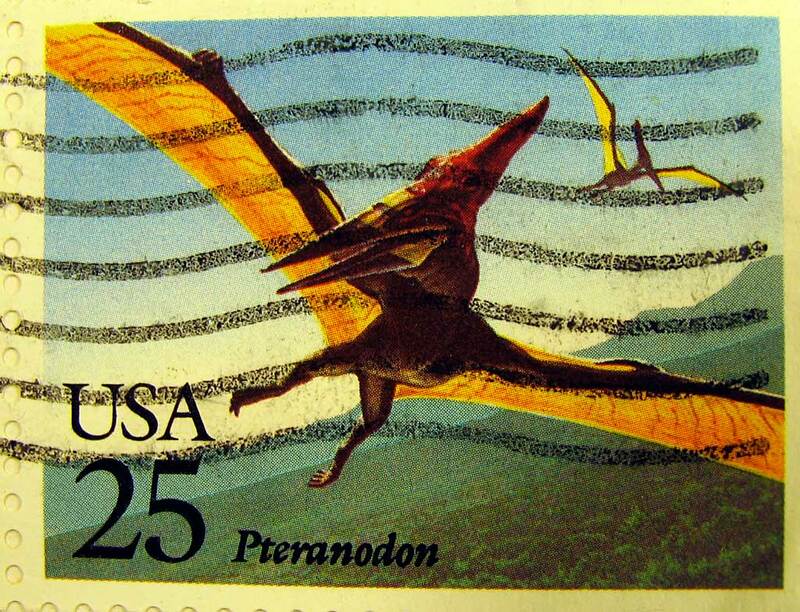 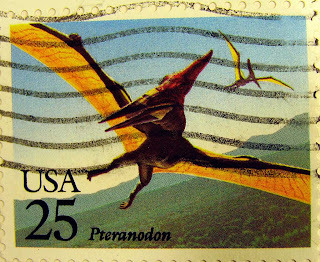 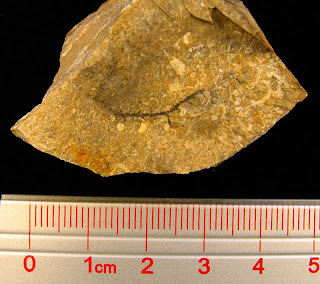 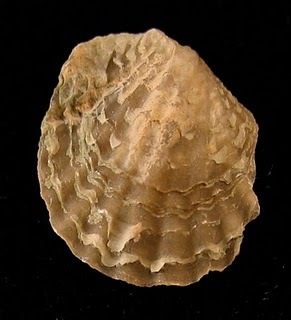 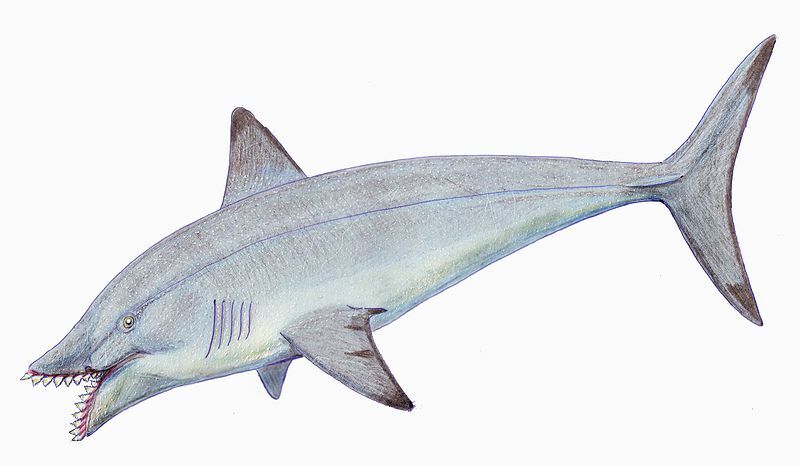 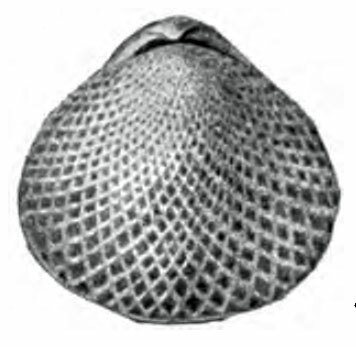 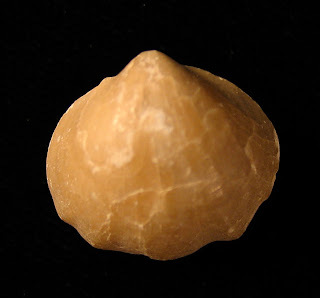 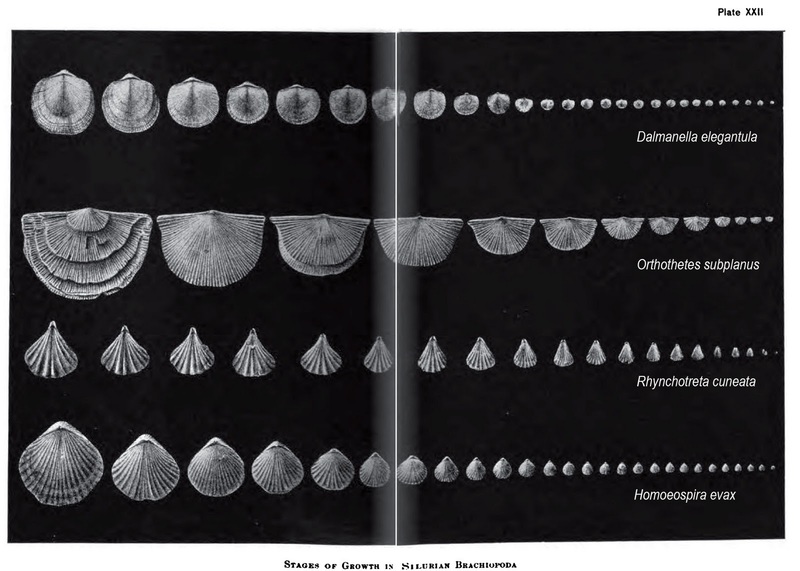 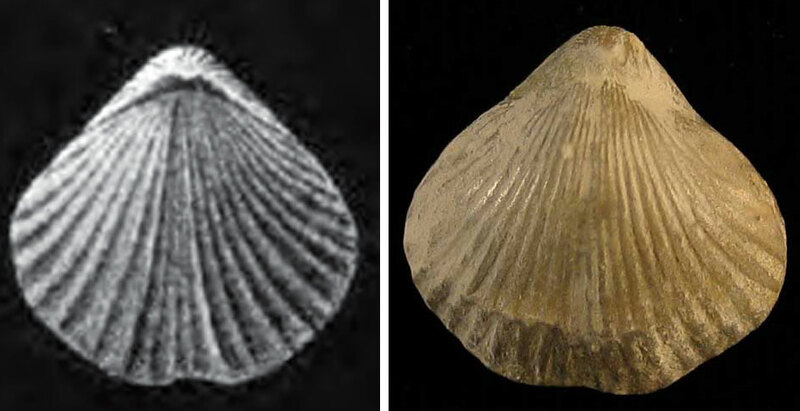 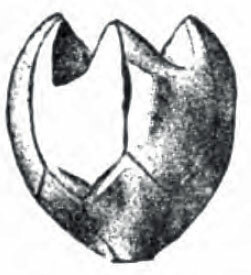 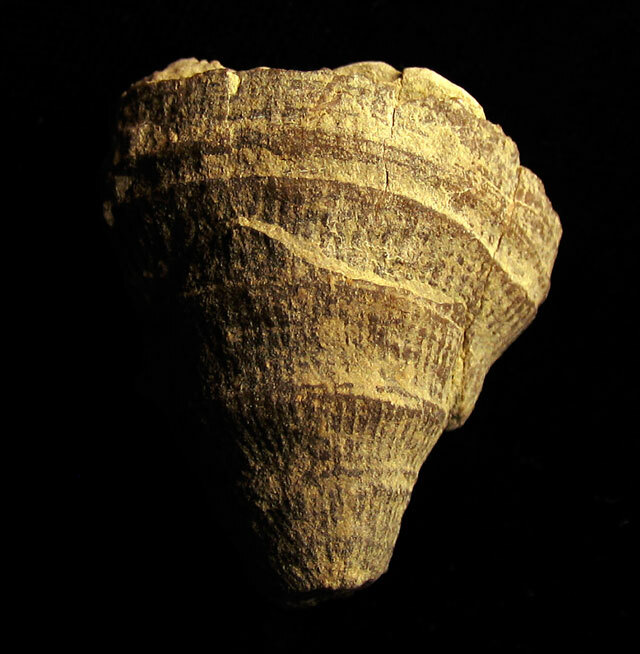 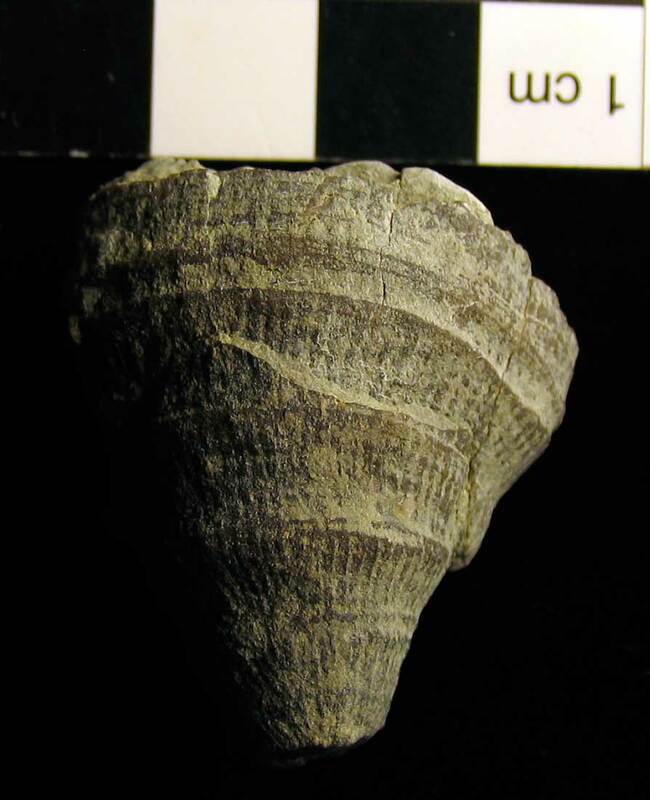 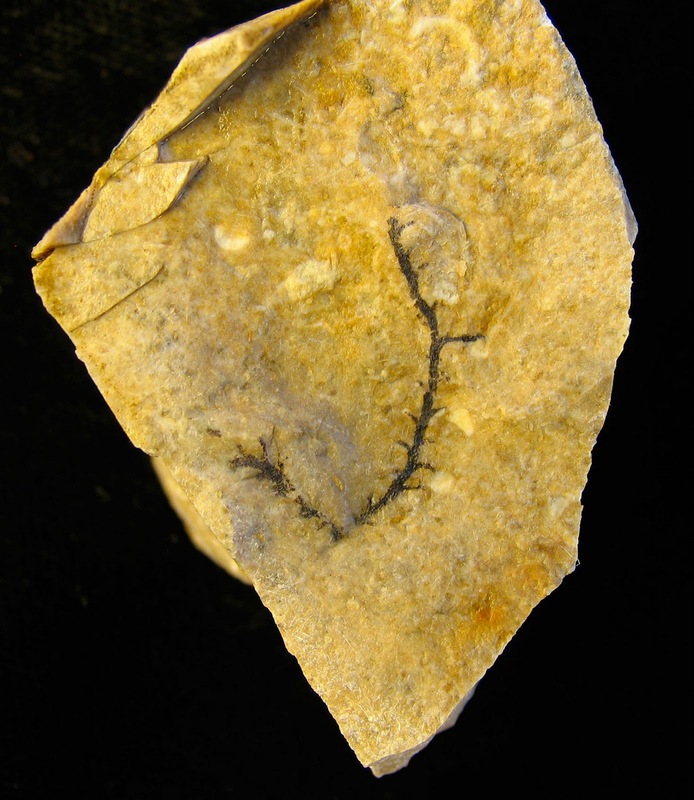 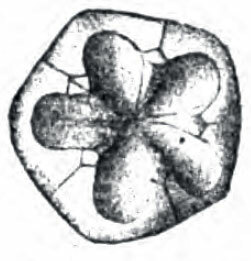 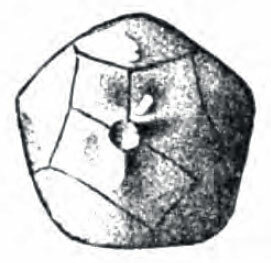 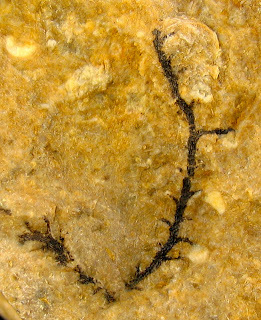 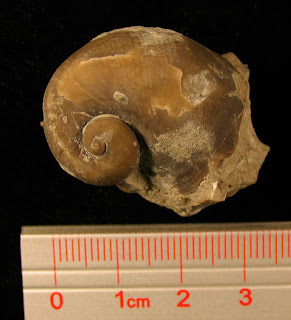 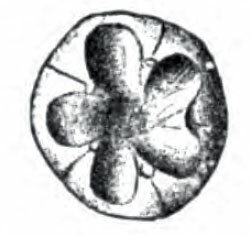 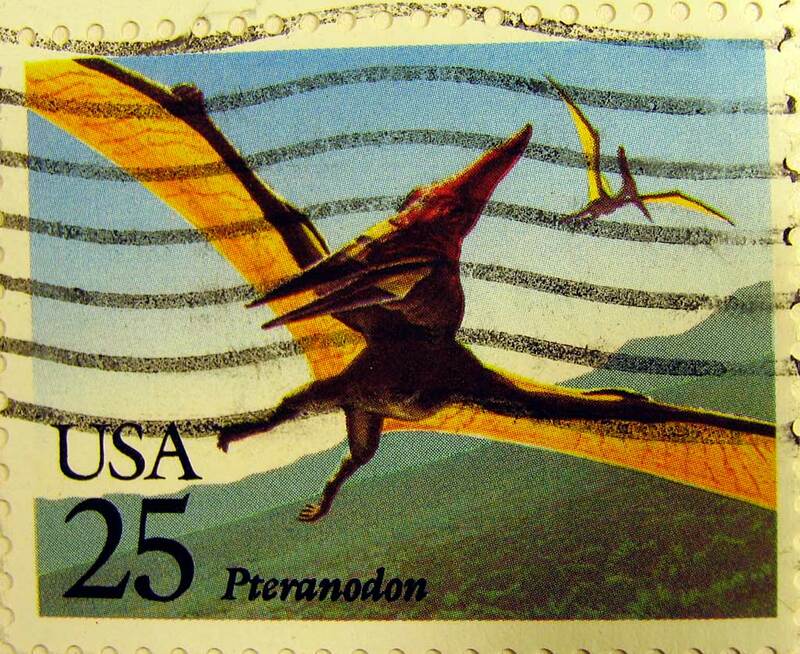 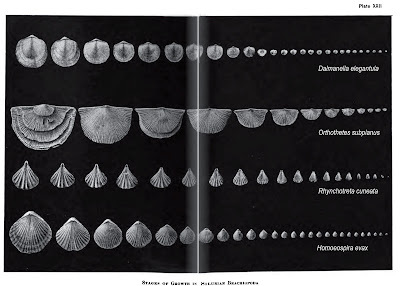 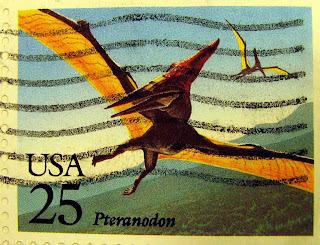 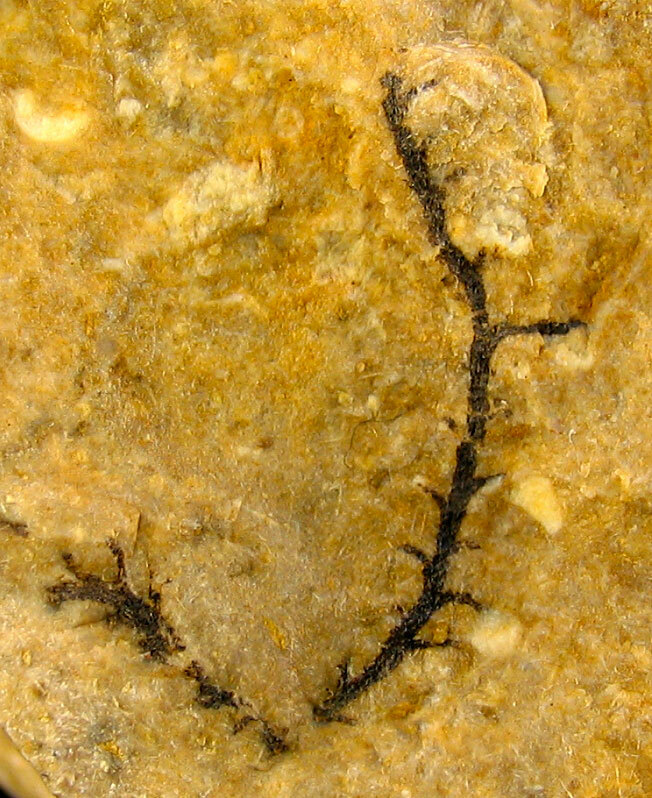 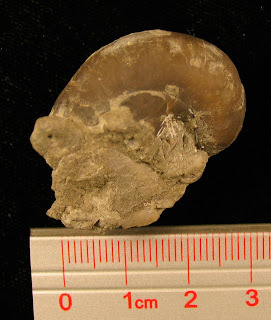 Fossil is the Playstoma niagarensis found in the Waldron Shale of Clark County, Indiana. 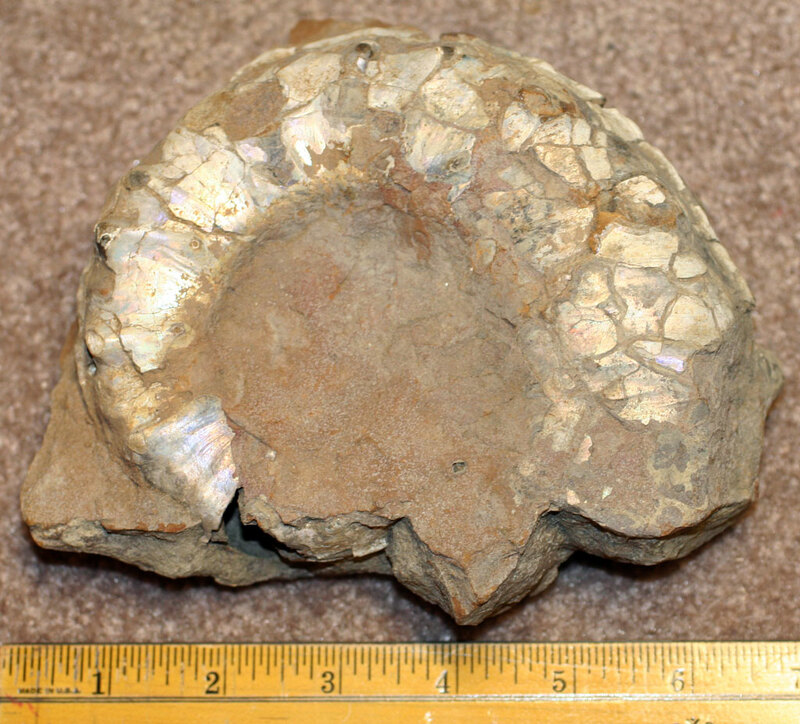 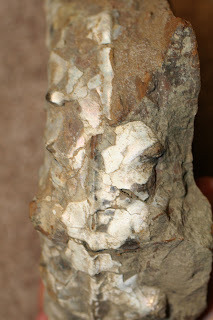 This is a somewhat large fossil for this locale measuring about 3 cm in diameter. 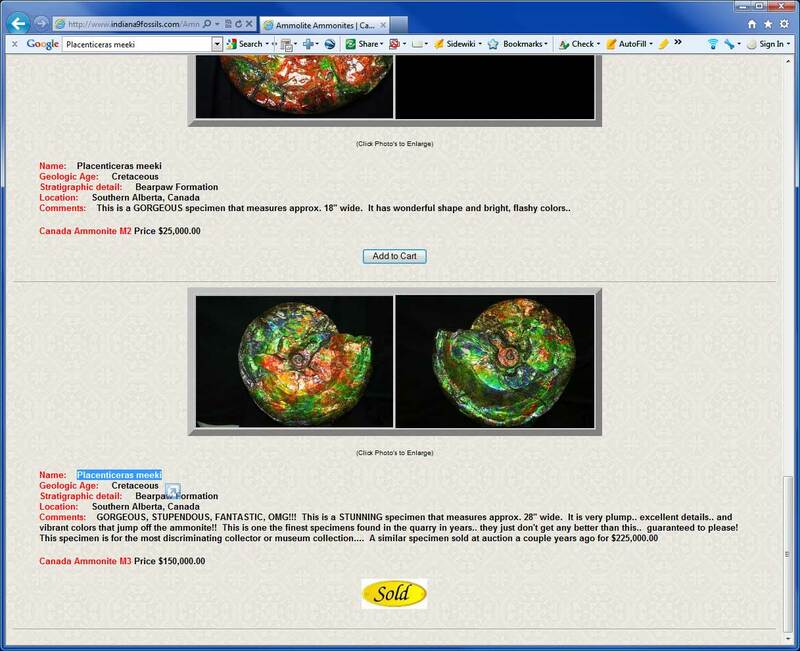 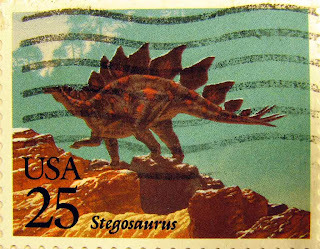 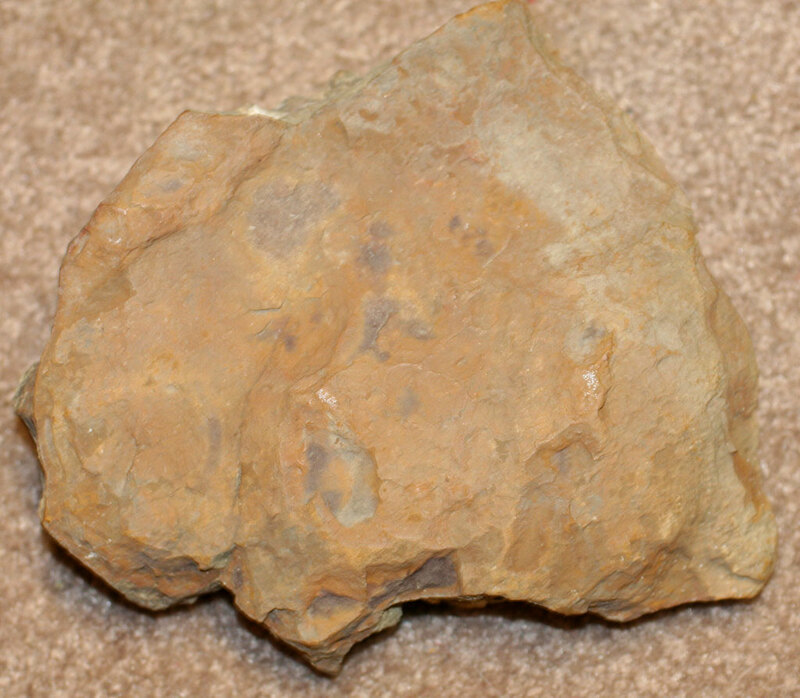 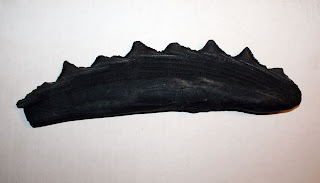 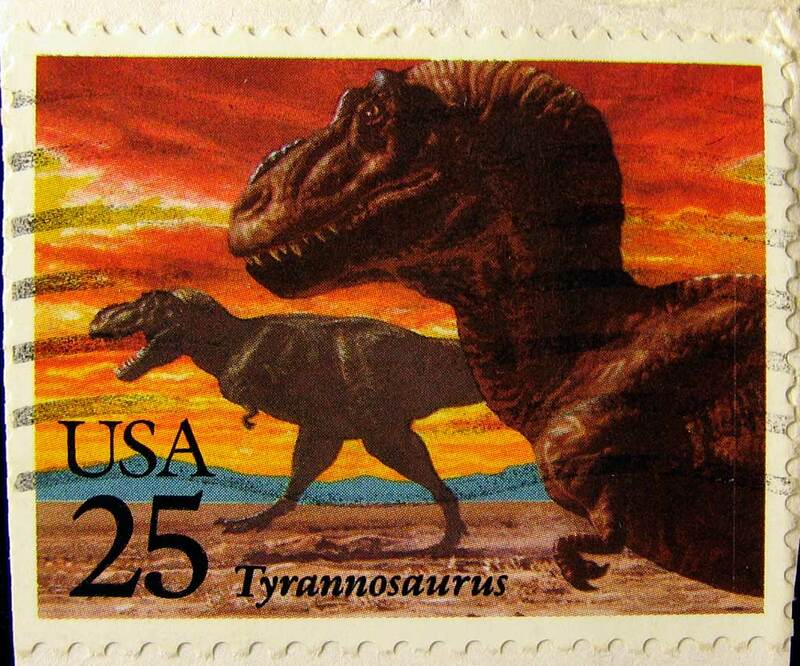 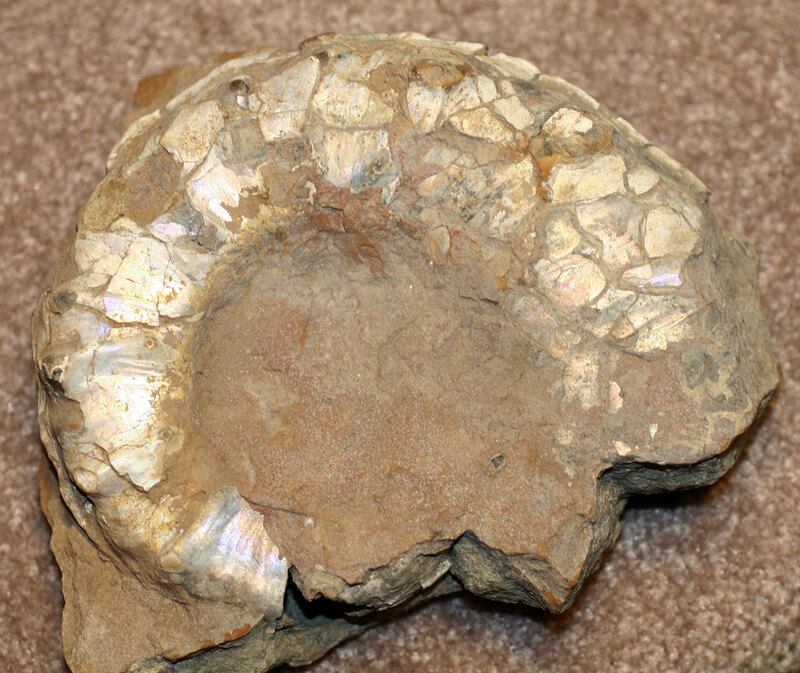 If you would like to purchase this fossil, CLICK HERE. These unique glass marbles contain a small amount of the isotope uranium-238. When exposed to ultraviolet (UV) light, the uranium's electrons in a low energy state move to an excited energy state that emits a greenish light. 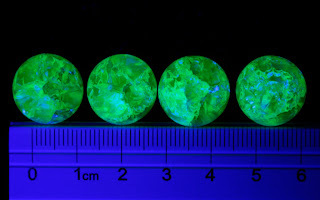 Uranium 238 is a naturally occuring isotope that has been used as glass coloring (uranium oxide) for almost 2000 years. 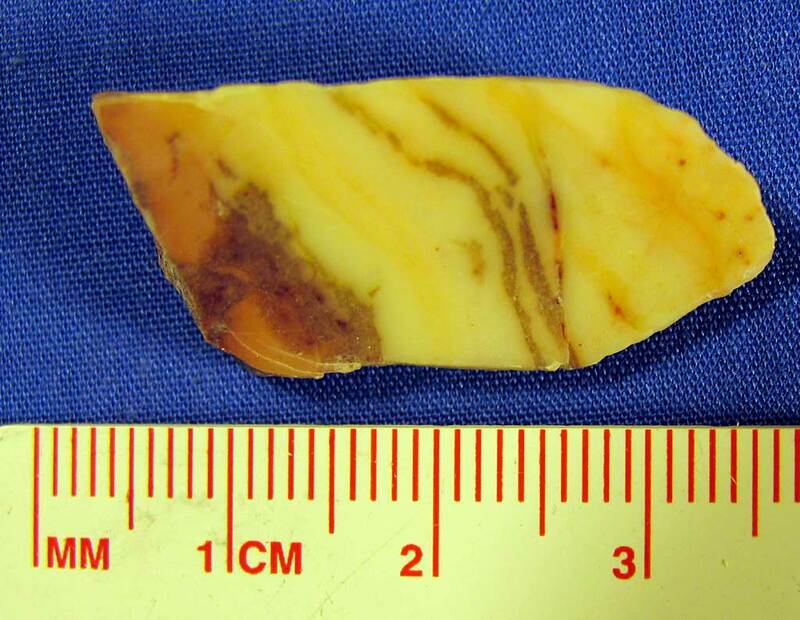 In ancient Roman ruins dating back to around 80 A.D., a yellow glass mosaic was found that contained uranium oxide. Two marbles in this set are different types. 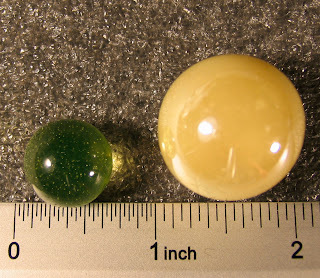 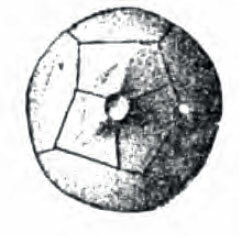 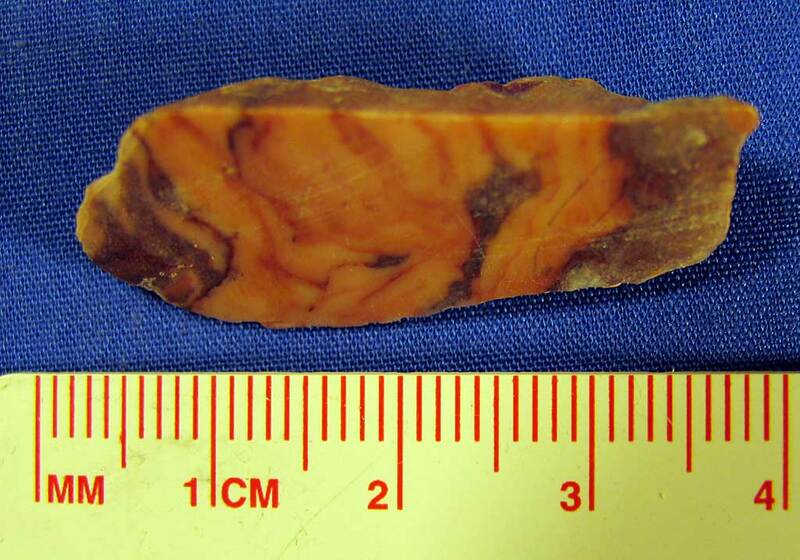 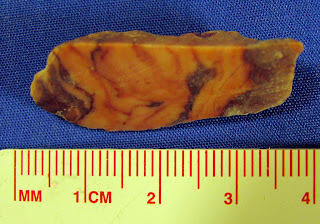 An approximate 1 inch in diameter marble that is cream colored opaque marble with a few minor indentations. 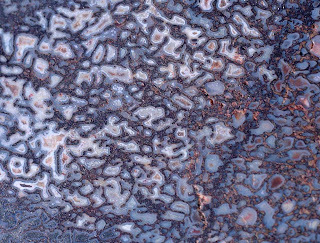 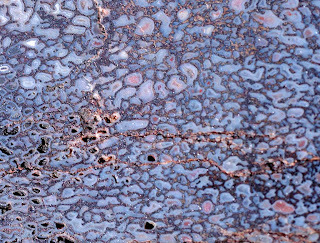 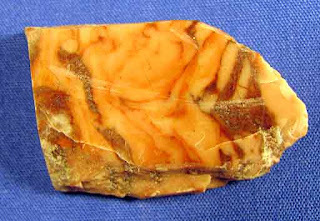 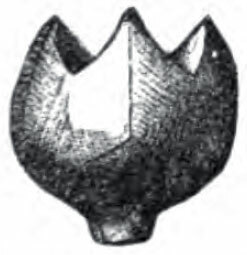 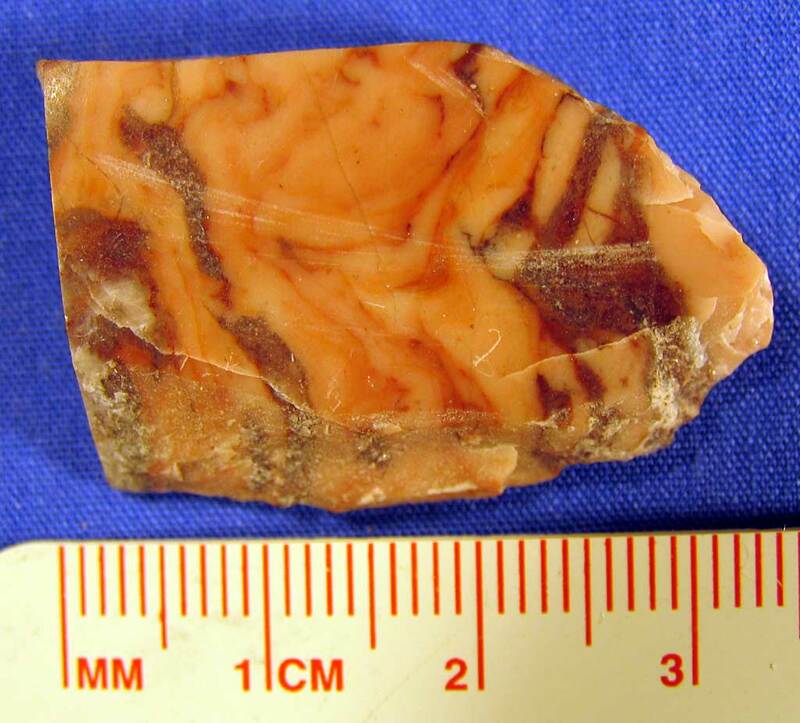 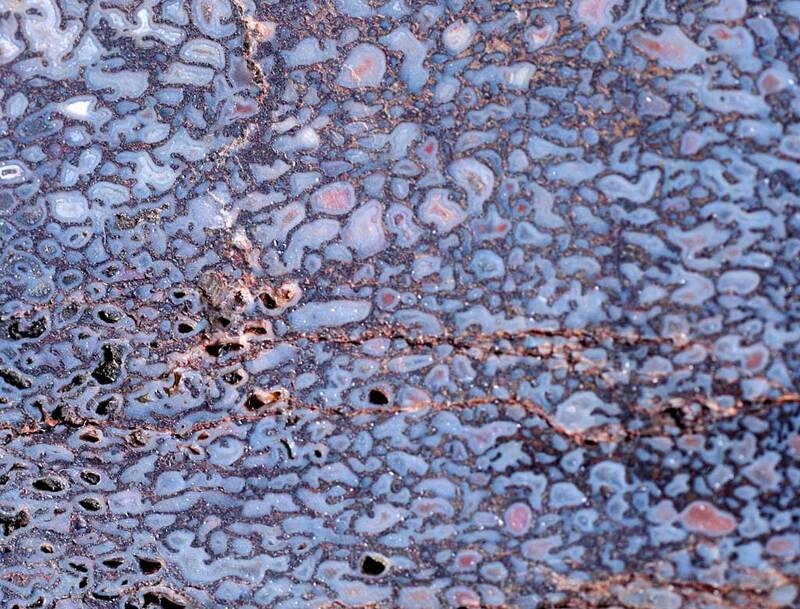 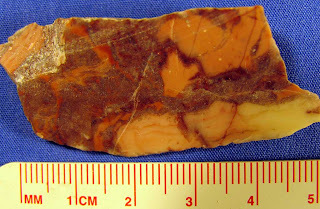 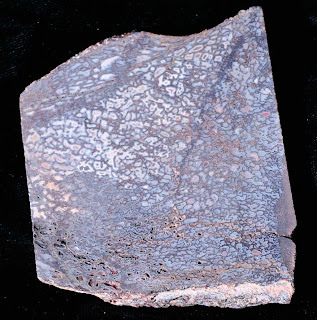 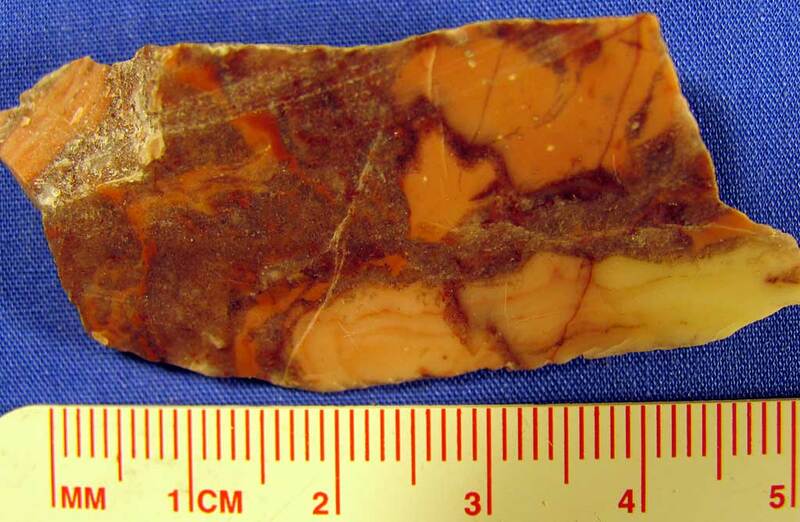 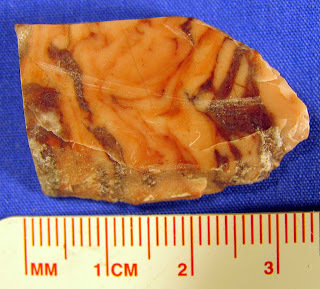 This type of marble material might also be referred to as carnival or vaseline glass. 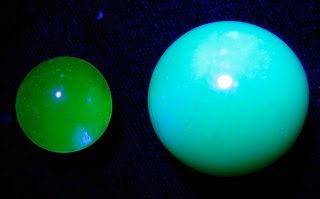 The smaller marble is more transparent with a light green tone. 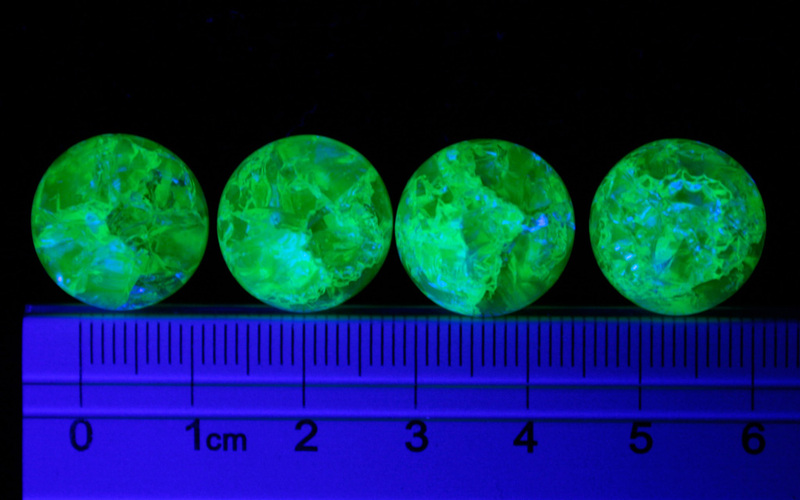 It is very bright green under longwave UV light. 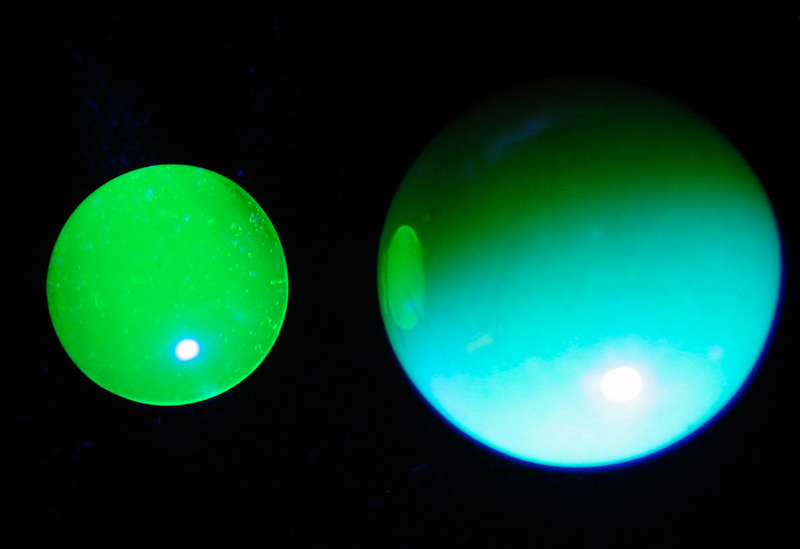 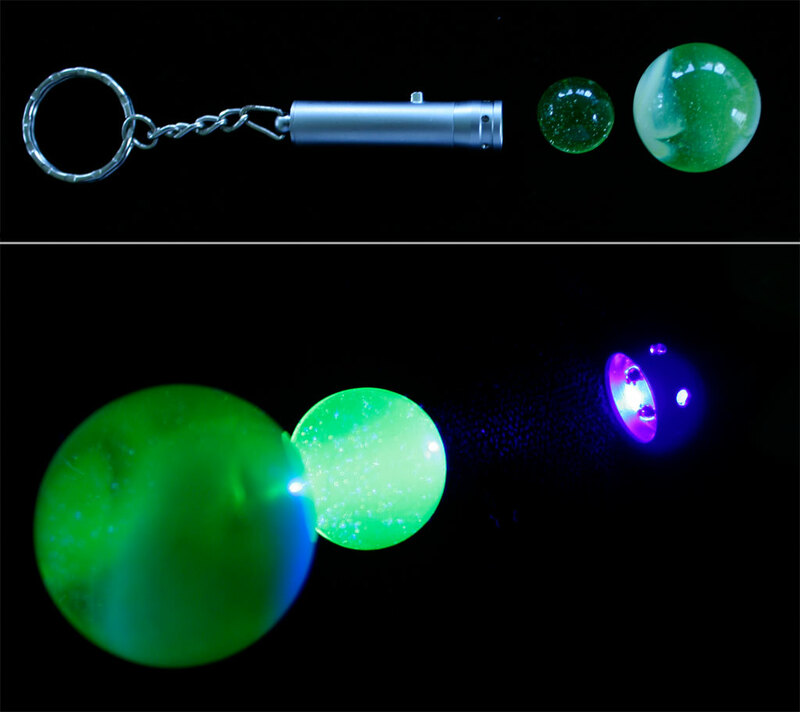 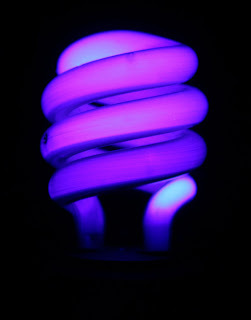 The pictures taken of the marbles include one under 30W fluorescent lighting and the other under UV LED flashlight (longwave ultraviolet - 395 nm). 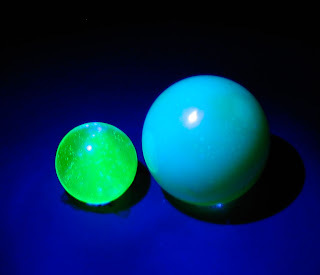 The marbles should glow under blacklight bulbs as well. CLICK HERE, CLICK HERE, CLICK HERE, CLICK HERE and CLICK HERE for some good deals! 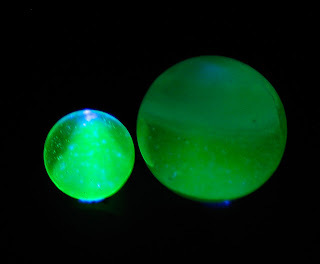 Next picture is of two other marbles both of clear uranium glass and underlit by UV light.